SIMCO has added two larger handheld plastic cases to their DISCOVERY series. 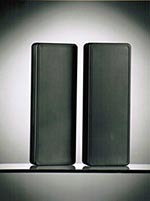 The slim-line plastic enclosures measure 3.10” wide and 8.50” long. SIMCO has added two larger handheld plastic cases to their DISCOVERY series. The slim-line plastic enclosures measure 3.10” wide and 8.50” long. One is 1.15” high and the other is 1.40” high. Both feature a lightly textured finish and a smoother recessed area for graphics or overlays. Battery access will be available on both models. These new enclosures are suitable for a variety of applications, such as remote controllers, test equipment, security products, telecommunications, and much more. UL 94VO flame retardant material, EMI/RFI shielding, custom machining, and imprinting are some of the options offered. The cases are available in Black or PC Bone Grey for immediate delivery.